The stars on its hair shine like a crown. The pale white morning light wakes up in its arrival. So close at hand but too far to reach. The dark night in its silence. Fell down from a dream. as if tracing the flashing face beyond time. the returning water from a sleepless sea. the shattering of a dream in just a split second. Sorrow is for many years later. There won’t be another teardrop so clear and innocent. not even the shadow from the chink in the wall. the half yellow leaves, as if the turning after prayers. one with air hushing air. and silent rocks stared you back. of Milky Way, ordering the dancing words to sleep. from a thousand miles away, your sleeplessness is my sleeplessness. « No new messages », the trembling hands said. the divine happiness blessed by a river of stars. can see it. But who, and where are you? as I put down the first song in a second tongue. 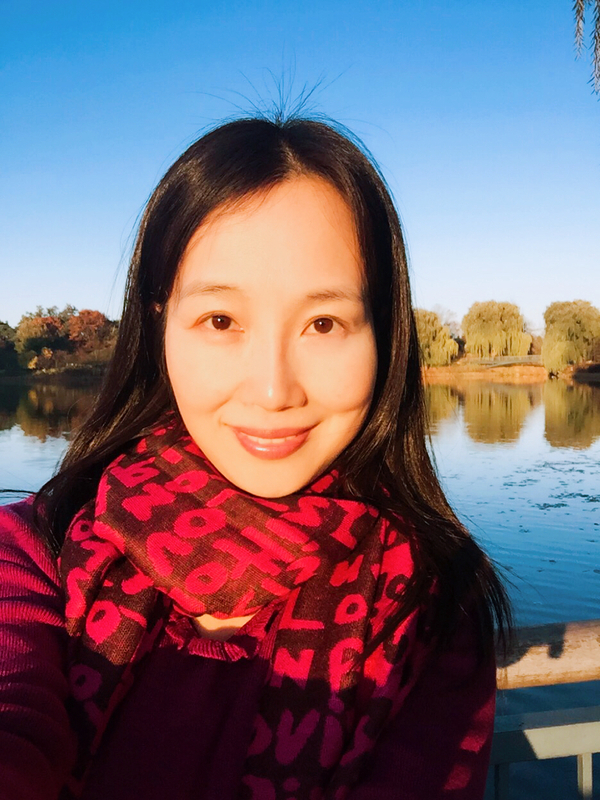 Shelley Kristina Hu is a member of the Academy of American Poets, President of Windy City Poet Association, and Column Manager of Famous Poets of Poetry World. She is internationally published, and lives in Chicago, U.S.A..